Cole is filling a slot that had been open since Michael Sprague stepped down. Kia Motors America has handed the chief operating officer reins to Michael Cole, who had the same position for the company's European operation since November 2012. Cole, who also adds the executive vice president title, is filling a slot that had been open since Michael Sprague stepped down April 17. Sprague told Automotive News he left because he wanted to spend more time with his family. 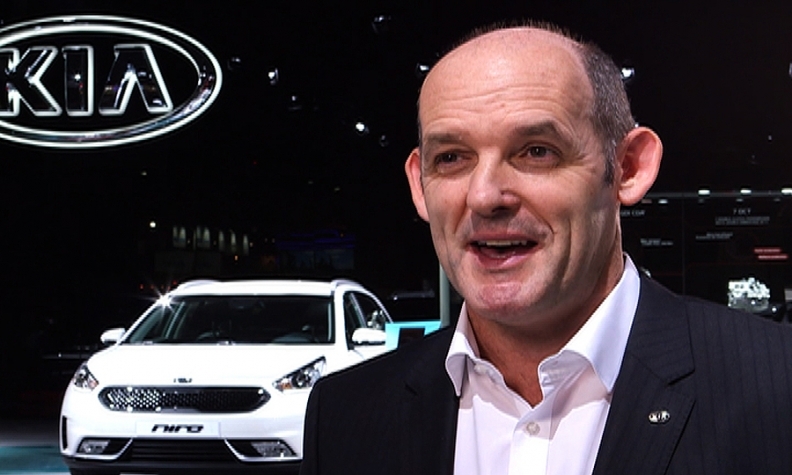 Kia says Cole "will serve as the central point of contact for all sales, marketing, service and corporate and product planning functions in the U.S." He will report to Sean Yoon, who was named CEO of the unit in March. Kia Motors Europe experienced a 40 percent sales increase during Cole's tenure, which Kia says outpaced the European market's 27 percent sales rise during that span. Kia sold 472,125 vehicles in Europe last year, an 8.5 percent year-over-year increase. Before that, Cole was managing director of Kia Motors UK and "led the wholly-owned subsidiary to several sales records and through a period of sustained new product activity." In the U.S., he will face immediate challenges. Kia's sales fell 5.2 percent in April. Through four months, brand sales slipped 2 percent from the year-earlier period after moving 177,530 units. Kia is reaping the benefits of the crossover craze, with light-truck sales up 4.3 percent through April. Car sales are off 5.8 percent through April to 106,166. In a statement, Cole said: "My experience in Europe demonstrates what Kia can achieve, and our future success in the U.S. will be driven by a similar focus on our key strengths of world-class design, quality and reliability, technology and safety, and a promise to offer our customers the best purchase and ownership experience."